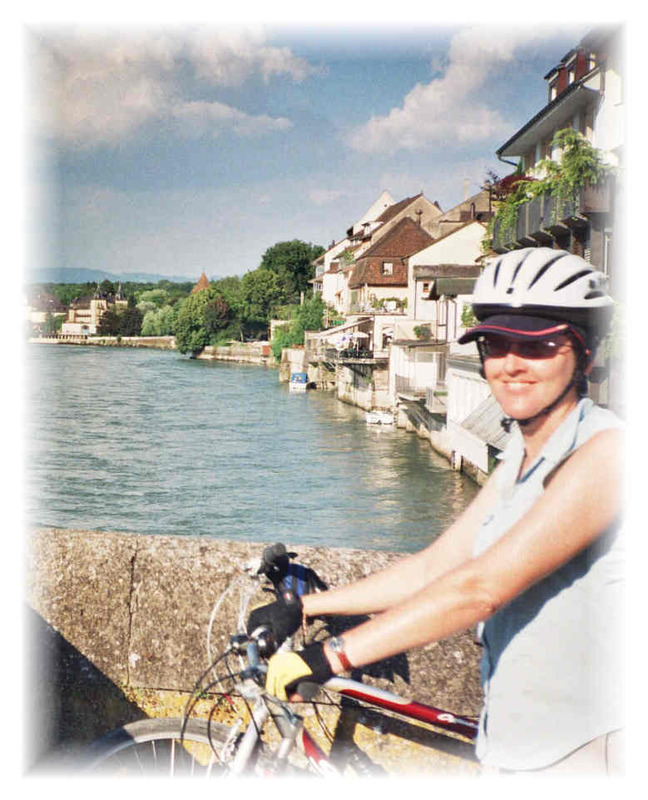 In June 2003 my wife, Andrea and I took our hybrid bikes to Frankfurt. Leaving Frankfurt on the Main cycle path we rode to the Rhine where essentially we turned left and rode up the Rhine cycle path till we came to Bodensee (Lake Constance) in Switzerland. On the way we took short detours by riding into Karlsruhe and later into Alsace. 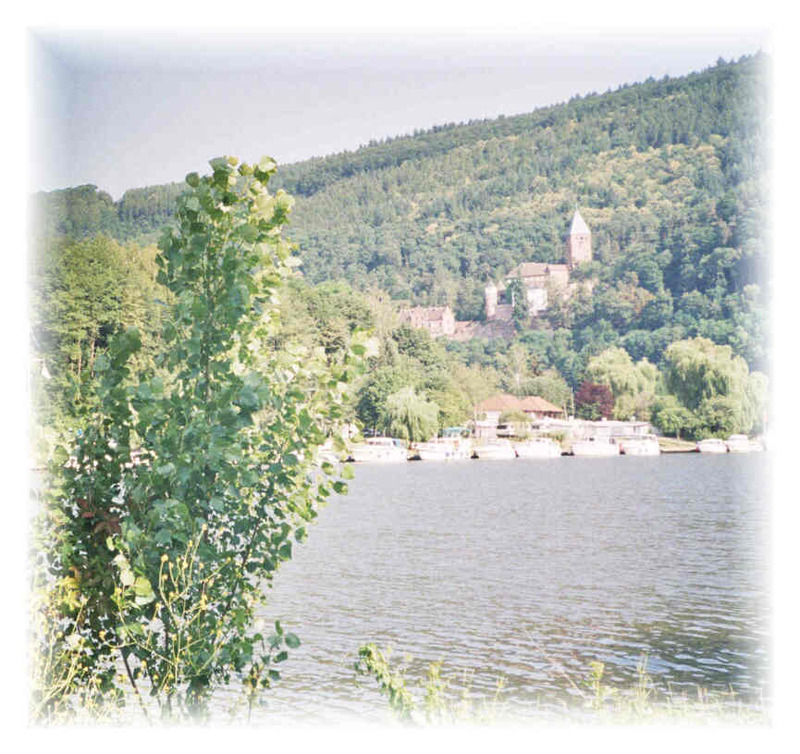 Once we arrived at Bodensee we cycled secondary roads to the Neckar Valley then rode down the Neckar radweg (cycle path) to Heidelberg. All told we rode some 1260 km. 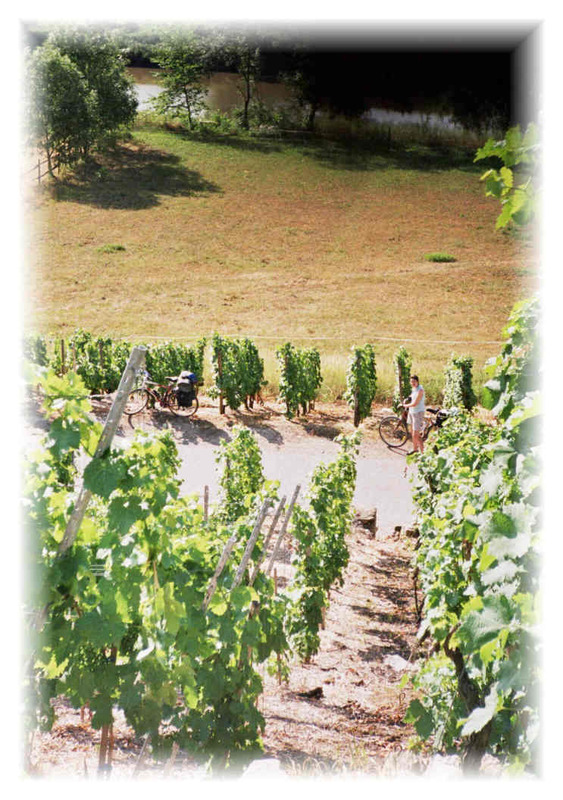 Undoubtedly the highlight was riding the Route de Vin (wine route) in Alsace. Here is a rough map of our route we took. Please click on the graphic below - the red line is the route we took. During the trip Andrea wrote a diary. You will find many photos from the trip there so please check it out. The trip had limited planning. We basically made it up as we went but that was part of the fun. This part of Europe is a cyclist's dream with lots of cycling choices. 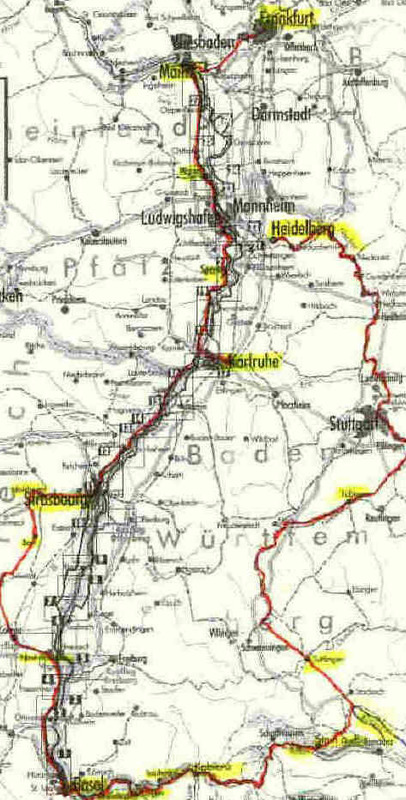 Except for Alsace we used the Bikeline books of cycle maps which we highly recommend. 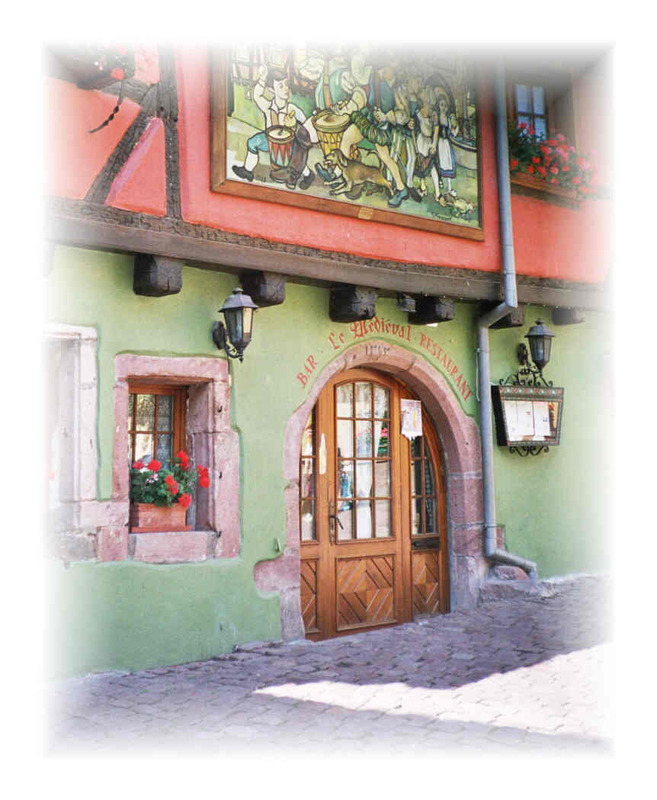 In Alsace we used local maps obtained from local Tourist Information offices. The weather was hot throughout the four weeks of cycling, a regular European heat wave, so we drank lots of water. When we ran dry we knocked on doors and asked local people for wasser or l'eau. They were very helpful. Despite my terrible German and Andrea's limited French we managed not to die of thirst or dehydration. As for accommodation we had nothing booked except for the first night or two in Frankfurt. 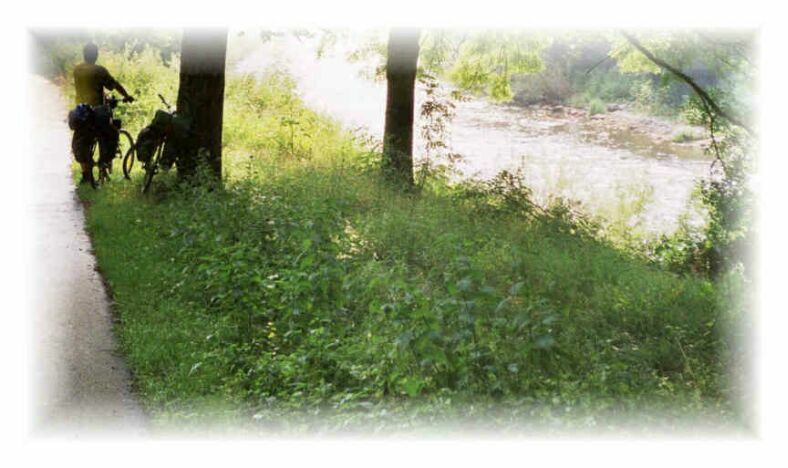 We stayed in hotels, hostels, gites (French farm-stays) and campgrounds. We had no major problems though around Bodensee it was somewhat difficult. We carried a tent in case of problems but never really had to use it. A positive aspect to finding accommodation was the fact that it was light till 10pm so you usually have time to cycle on to the next town or village if you are having problems. PS We also have a web page on cycling the Danube and Tauern radweg which you will find here.